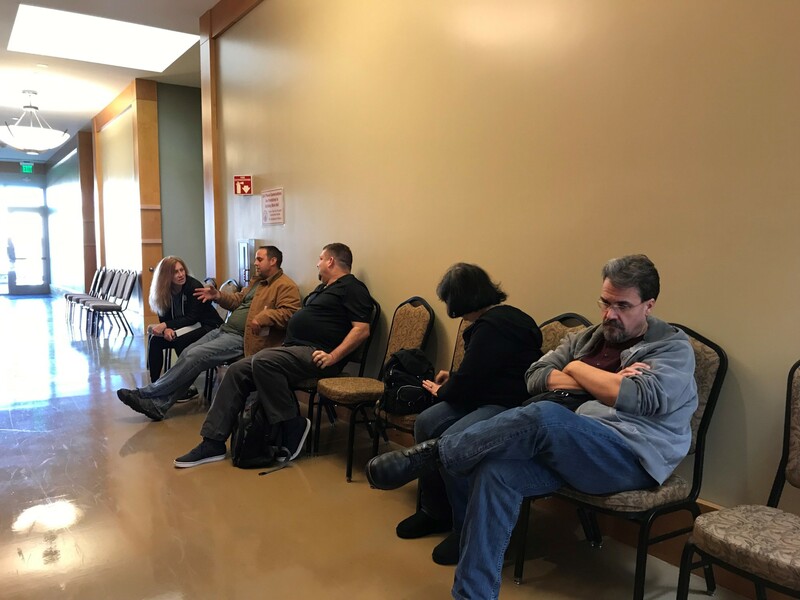 Paradise residents wait for their turn to speak with Federal Emergency Management Agency and Small Business Administration representatives at a temporary assistance center at Citrus Heights City Hall. (AP) — The Federal Emergency Management Agency said Wednesday that as many as 2,000 trailers could be used to help house survivors of the Camp Fire, some possibly as soon as this week. FEMA will pay for temporary housing for evacuees, such as a hotel or rental assistance. Survivors may also be eligible for disaster-related unemployment assistance, or cash grants for to pay for food, prescriptions or gasoline.